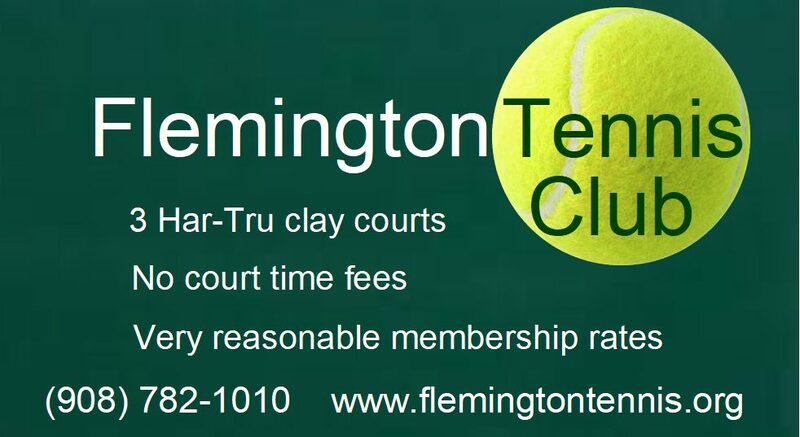 Why join Flemington Tennis Club? Flemington Tennis Club maintains three private Har-Tru Green Clay tennis courts to provide tennis facilities for the use of our members and promote tennis in the community. FTC membership includes unlimited play for one fixed annual fee. Family membership$350 ($325 if paid before March 25, 2019). Mid-season reduced membership fees are available for new members. Email us for more details. Members can play when they want to play–no reservations are required. FTC membership is limited to 100. If you’ve gotten this far, you’re ready to sign up. So download the FTC membership application and let us know how much you love tennis!